As the popularity of Sherlock has increased, so have the “Setlock” crowds when the show is filming in and around London. Many of us loyal fans aren’t lucky enough to live in the U.K., but if you do or your future travel plans include a trip to Britain, here are some places where Sherlock has consulted on cases that you may want to check out. Leinster Gardens, located in the Bayswater section of London, played an important role in “His Last Vow” when Sherlock tricked Mary into revealing her dark past. 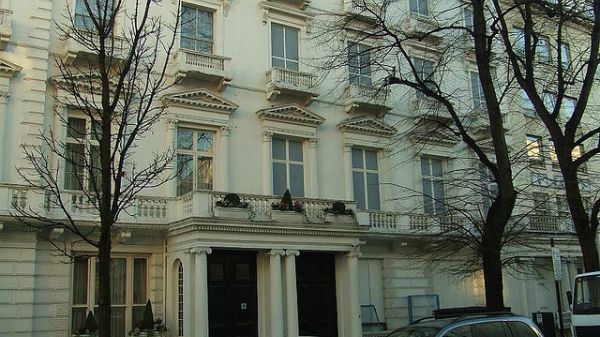 Numbers 23-24 Leinster Gardens look like real flats when viewed from the street, but sharp-eyed visitors can see that some of the windows and doors are not functional. The building was constructed in the 1860s near a railway that required “venting off” in open-air sections for the locomotives, according to Wikipedia. The façade was created to conceal the locomotives and steam from residents and passersby. Sherlock dramatically used the Leinster Gardens façade when he projected Mary’s picture (in her wedding gown, no less!) on the front of the building to symbolize her dishonesty to John. 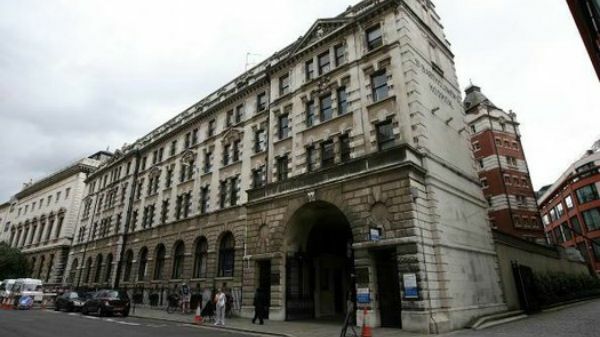 One of the most infamous Sherlock scenes, in “A Scandal in Belgravia,” takes place in the “heart of the British Government,” at Buckingham Palace, where Sherlock and John agree to recover the incriminating photos in Irene Adler’s possession. 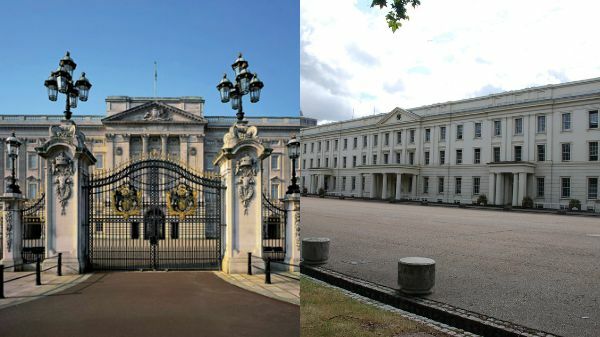 Wellington Barracks, home to the Queen’s Foot Guard regiments and located a few hundred yards from Buckingham Palace, was shown in “The Sign of Three” when Sherlock and John attempt to solve the case of the Bloody Guardsman. Tourists can visit Buckingham Palace any day of the year except during scheduled closures, December 25 or 26, or January 1. So many pivotal Sherlock scenes happen at St. Bart’s! Sherlock and John are introduced by Stamford here, Molly assists the Baker Street sleuths with many of their cases, and Sherlock stages his “Lazarus” plot. Interestingly, St. Bart’s has a museum and archives that are open to visitors, containing paintings of the Saint himself, and copies of documents dating back to the reign of Henry VIII and to the year 1137. Located at 187 North Gower Street, Speedy’s Café is next door to the flat serving as 221B Baker Street on the show. 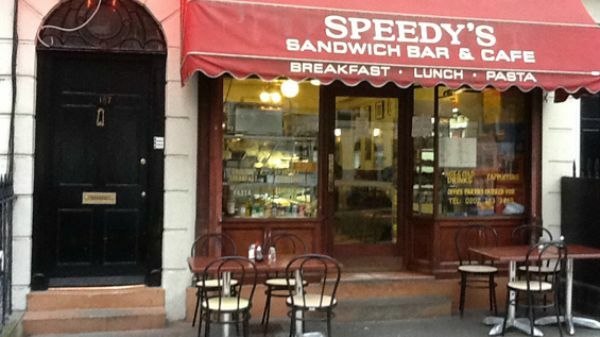 Speedy’s has often been used as a rendezvous for Sherlock characters: John and Mycroft meet there to discuss Irene Adler’s fate in “A Scandal in Belgravia,” and if you’re in London near the Euston Square Underground station, you can eat there too! Of course, no list of Sherlock locations would be complete without the real 221B Baker Street. 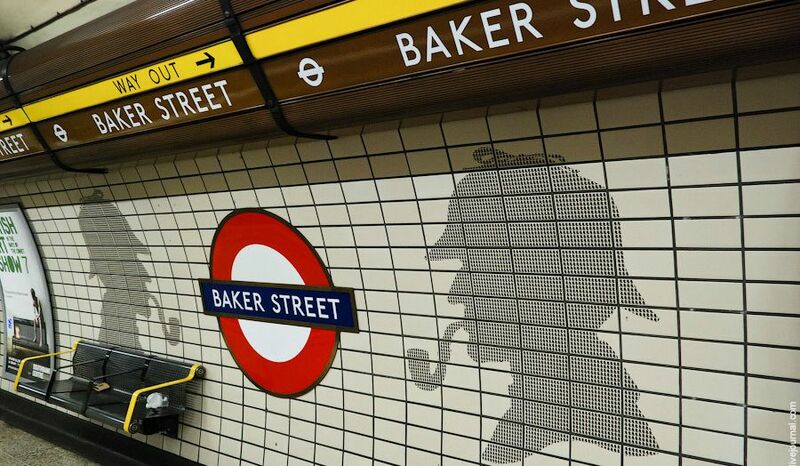 While it is not the location shown on Sherlock, it is just a short Tube ride away from Speedy’s Café, at the Baker Street station, naturally. 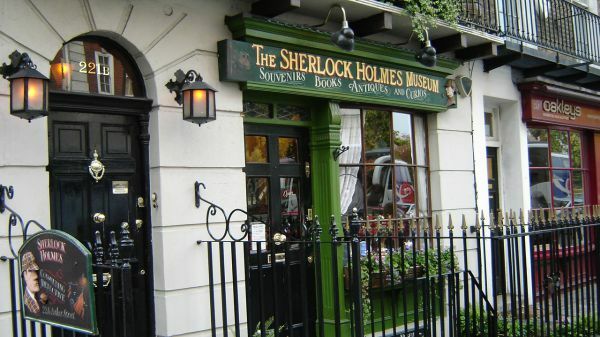 The Sherlock Holmes Museum is located here–visitors can try to absorb some of Sherlock’s brilliance by visiting his fictional home. Of course, there are many more London locations that Sherlock fans may recognize from the show—tell us about them in the comments! Next to the space where Sherlock fell, there’s a telephone box graffitied with Sherlock references (some some other fandom references as well). I recommend the London Walks Sherlock Holmes tour. It will take you to where ACD lived while in London, the hospital he worked at, and many of the sites of the original Sherlock Holmes stories. Good choices! One minor quibble, though — the restaurant where Sherlock meets Magnussen is not Speedy’s (though I’ll admit I had to look twice). According to Sherlockology.com, that scene was filmed in Cardiff at a place called Giovanni’s on the Hayes. Thanks for pointing that out, Carol! Oh my God. I want to be there now! Very interesting! Any reviews of the Sherlock Homes museum – is it really worth it? Luckily, I am in London so will definitely like to pay a visit sometime!